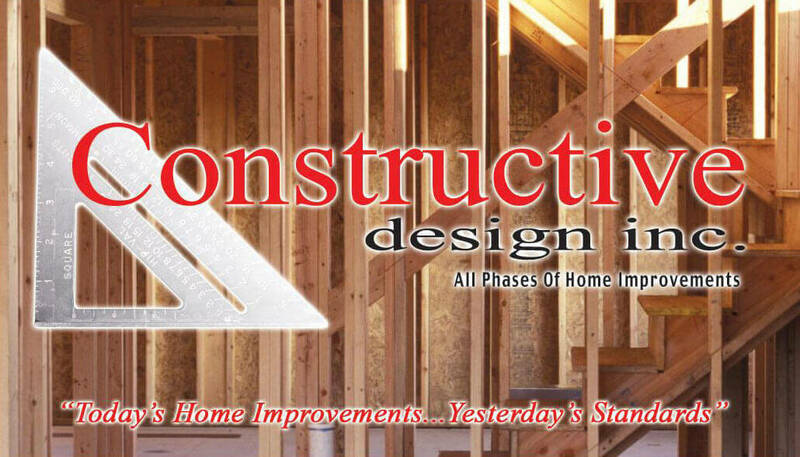 Promotions & Specials | Constructive Design Inc.
Quality never costs ... it pays! 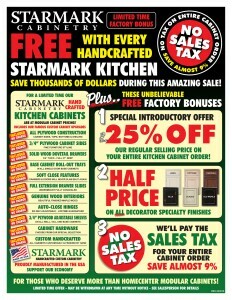 Custom StarMark Cabinets at up to 25% off! If you’re looking for quality Kitchen Remodeling you’ve found the right contractor. Here at Constructive Design, Inc., we know how important a kitchen is for your family, that’s why we only use quality products and materials. 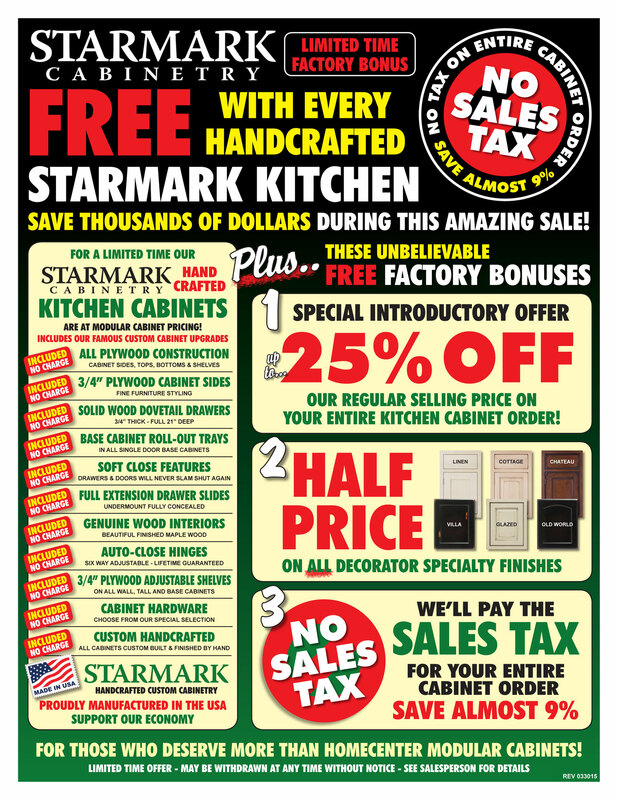 Our partners at StarMark Cabinetry have made it easy for us to offer this kitchen remodeling special. StarMark Cabinetry been one of those vendors who deliver a product we can recommend to our customers with confidence. Their quality, craftsmanship, innovation and the ability to customize the cabinetry makes using them a true no-brainer! We also love that StarMark Handcrafted Custom Cabinetry are Proudly manufactured in America, which not only helps our economy but ensures you are not waiting 60 days for those economy cabinets that are made overseas to arrive! Starmark Cabinetry has been running such exceptional kitchen remodeling specials and promotions, you’ll find it hard to find another quality custom made cabinet manufacturer who offers more with equal or better value. With all the extras, upgrades and bonuses they have included at no additional charge, you’ll literally be saving thousands of dollars on one of the most costly elements of your kitchen remodeling project…the cabinetry. Please scroll down and click on the flyer below to view all the details of the Kitchen Remodeling Special. Click Play on video below to see why purchasing StarMark Cabinetry is such a wise investment. Get your best prices then let us show you what we can do! CALL TODAY FOR YOU FREE IN HOME CONSULTATION!